The Stevie® Awards have announced the winners of the Best of the IBA Awards in The 2015 (12th Annual) International Business Awards, the world's premier business awards competition. Nominees in the 2015 IBAs were not able to apply for the Best of the IBA Awards directly. Winners were determined by a points system based on the total number of awards won in the IBAs with a Gold Stevie win counting for three points, a Silver Stevie for two points, and a Bronze Stevie win for one-and-a-half points. This year's Gold, Silver and Bronze Stevie Award winners in The International Business Awards were announced on August 13. The winners of the Best of the IBA Awards will be presented with Grand Stevie Award trophies at The 12th Annual International Business Awards banquet at The Ritz-Carlton Hotel in Toronto, Canada on October 23. Marketing Agency of the Year: Will a total of 64.5 points earned by Gold, Silver and Bronze Stevie-winning entries worldwide, MSLGROUP is the winner of the Grand Stevie Award trophy for Marketing Agency of the Year. 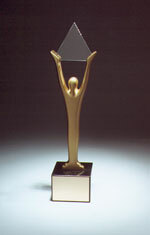 Gold, Silver and Bronze Stevie Award placements in the 2015 IBAs were determined by the average scores of more than 200 professionals worldwide in the three-month judging process. For more information about The International Business Awards, including a complete list of all Stevie Award winners in the 2015 competition, visit www.StevieAwards.com/IBA.